JJ Watt apparently isn't the only feared pass rusher wearing No. 99. 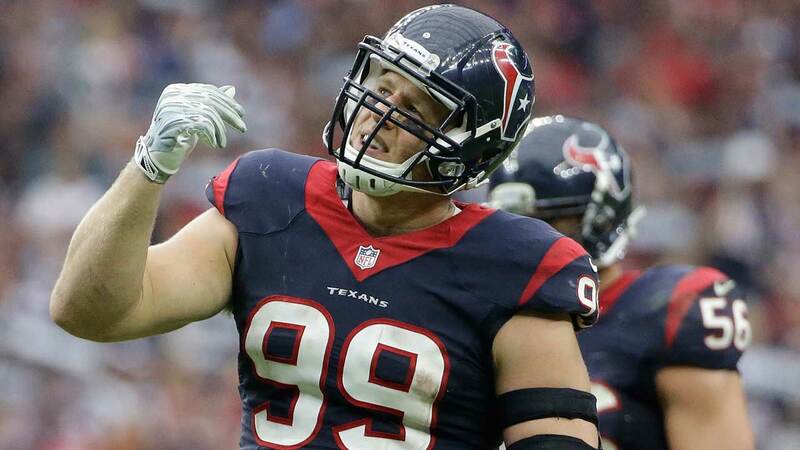 HOUSTON -- Texans defensive end JJ Watt has fans all over the league, many aspiring to be just like the NFL MVP candidate. One kid who wrote to Watt recently has already started down that path, according to No. 99's tweet. Anthony Tarantelli, 7, said in his letter that he's Watt's biggest fan and that his friends call him "JJ" because he's the most feared pass rusher in his youth football league. Anthony also sent his own autographed No. 99 jersey with the letter, so that Watt would have it when the kid made it as a star in the NFL.